The numbers speak for themselves: an ROI of 3500% and a CTR 5 times higher than email marketing. 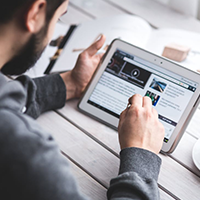 Web push notifications are marketing communications that display directly on the screens of users and have proven themselves as a reliable online marketing tool. It’s no wonder that PushPushGo, a Cracow-based company that is also a significant web push player on the European market, has attracted interest not only from international clients but also investors as well. Extensive negotiations that PushPushGo conducted with the bValue venture capital fund have come to an end. Rather than accept several offers to sell to various industry leaders, the decision was made to accept the investment of PLN 2 million for the further European expansion of our company. 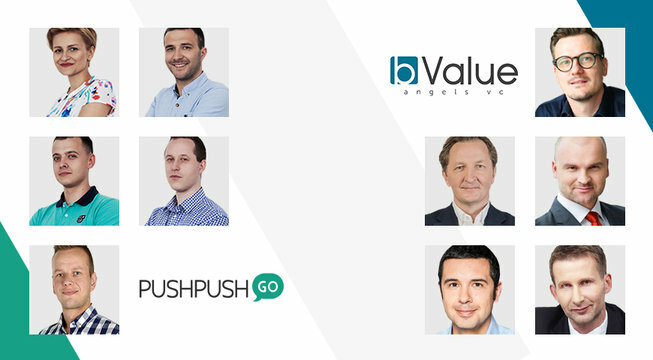 Thanks to the investment from bValue, PushPushGo gains the support of an experienced team and partner behind global companies worth a total of over EUR 1 billion. Among others, bValue’s investors include Marian Owerko (Bakalland), Rafał Brzoska (InPost), Tomasz Hanczarek (Work Service) and Marek Dziubiński (Medicalgorythmics). Our development plans are very ambitious. By the end of 2019, we want to become the European leader in the advanced shipping and automation of web push notifications that will satisfy the needs of both small and medium-sized companies, but above all, large global enterprises. We spoke with PushPushGo CEO Dawid Mędrek about the investment and the challenges it brings in an exclusive interview. PushPushGo is already active in 15 international markets and we send over 500 million notifications a month. Our portfolio includes the largest players on the market, such as Pandora, Mc Donald's, 4F, MediaMarkt, T-Mobile, TUI, Travelist, SecretEscapes and global media houses like Dentsu Aegis Network. "PushPushGo’s results prove that the team is able to implement ambitious development plans and now finds itself in the environment of large, global players. Also, the use of machine learning in marketing activities and an individual approach to the customer are trends that fit well with current market needs. We see the potential for great international development that we want to be part of. " In connection with the investment, the President of the Management Board of PushPushGo, Dawid Mędrek, answered 9 key questions regarding the current situation of the company and shares his experience and advice for new entrepreneurs. Enjoy! 1. What led PushPushGo to bring in another investor? PushPushGo CEO - Dawid Mędrek: Right from the start of the project, we knew what types of investors we wanted to look for. Based on previous experience, the most important factors for us were: mutual trust, successful projects that have been previously conducted or in which our investors participated and appropriate contacts that would enable us to establish further business relationships. It’s obvious that being associated with people like Damian Sikora and Bartek Jędrychowski from Gamekit makes it easier for us to establish relations with potential investors. Especially in the case of those willingly investing in projects at an early stage of development, our participation in a venture like Gamekit was very important here. It was thanks to such business contacts that we met an interesting group of business angels including Mariusz Gralewski, Marcin Kurek, Michał Skrzyński and Kamil Kopka, who not only believed in our project and vision, but also supported us in building a certain scale of activity. Regarding our second investment round, we have long wondered whether it is necessary at this stage and whether it’s better to focus 100% on the development of business from the revenues we currently have. Talks with bValue were long, but eventually, we managed to reach an agreement. It was influenced by the elements I mentioned earlier and the fact that investors involved in bValue are also present in other investments of our first investors. "The PushPushGo team has quickly reached the product/market fit, which translates into the interest of really significant customers on the market. I can easily compare the pace of the company's development to those that are currently global leaders in its category, which is why I am happy that I can participate in it almost from the very beginning." 2. If you could reduce the reasons for the success of PushPushGo down to a few sentences, what would they be? PushPushGo CEO - Dawid Mędrek: I would start with our team. Right from the very beginning, we had all the necessary skills on board to make this business grow. This to be a significant factor that allowed us to start and rapidly achieve a large scale of activity. But starting out can be difficult. In our case, thanks to the appropriate technological and sales competences, we moved to the stage where we could get involved 100% in the project without having to divide our attention. Currently, each of the members of the PushPushGo team is highly skilled, willing to learn and excited to be involved in building something cool, which for me personally is very motivating. I think that building a team based on such features and working for some of the top brands in the world is a great mix of something that can provide value for both customers and people inside the organization. 3. What’s been your biggest challenge so far? PushPushGo CEO - Dawid Mędrek: Definitely getting out of the phase when we had virtually no customers and it was hard to break through to the biggest ones, let alone get their trust. I remember being at a meeting with one of the largest publishers in Poland and we were asked about our biggest clients. It was the moment when we knew that winning one such big player would open the door for others and that's what happened. Of course, apart from our commitment, which was highly valued in this case, we are also fortunate to meet people who were open to giving us a chance. 4. What will be the biggest challenge for PushPushGo going forward into the future? PushPushGo CEO - Dawid Mędrek: There are probably a few, but I think that currently, the biggest challenge facing most companies that want to develop globally is foreign expansion. This is a very interesting and difficult challenge that motivates us to continue working. The issue of proper market research and arranging the first sales steps are just the beginning of the iceberg. We must also remember that each market is different and must be approached differently. We are aware that the transition from a completely unknown brand, as we were in Poland a year ago, to the European leader is an ambitious challenge. 5. If you could go back and change a business decision from the past, which one would it be? PushPushGo CEO - Dawid Mędrek: The only thing that I would change would be the too generous "distribution" of shares in the company to people for whom building their own business has never been a goal or motivation to act. Such persons obviously have valuable knowledge but, as far as the company's shareholders are concerned, the main long-term factor is passion, the right mentality and the approach to the development of own company. 6. 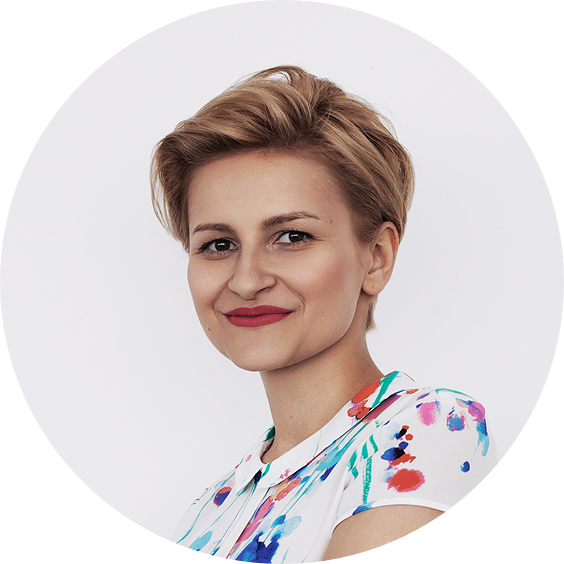 What’s the difference between working with Polish clients and those from abroad? PushPushGo CEO - Dawid Mędrek: At this point, I think that it is worth separating the issues not only of the country itself, but also the regions in which we operate. We have noticed a decidedly different approach of clients from Eastern Europe from what we see in, for example, Scandinavian countries. In countries such as Poland, Russia or Serbia, one of the main factors in choosing a partner for cooperation is still the price. In countries such as the Netherlands, Denmark, Norway or Belgium, the most important factor is the value we give them, not only in terms of a positive ROI, but also the support and knowledge that we can bring to their organization. When working with clients from around the world you have to be very open, flexible and this approach will allow you to understand your client a bit better and take effective actions in your market. 7. 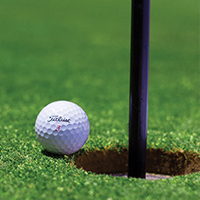 What’s your view on the best strategy for winning foreign clients? PushPushGo CEO - Dawid Mędrek: If we enter a given market, we try to do it mainly through establishing a relationship through Linkedin and cold mailing. I believe that this is the fastest and most effective method to study interest and gather feedback. Every market has its own unique characteristics and it’s important to be open to constant change. A great example is, for example, the Russian market, where building relationships through Linkedin is much less effective than in Western markets. 8. A great company needs a great team. How do you recruit the talent that you need? PushPushGo CEO - Dawid Mędrek: In our case, the recruitment process is very short and we try to quickly get to the moment when candidates can start a test period with us. The first stage is a short phone conversation, where we check their motivations and determine why someone applied for a given position. If someone cannot answer the question of which element of the announcement encouraged him to send his CV, then we reject the person at once. The next stage is a conversation with a minimum of three people involved in the area in which the person will be employed. We do not have any patterns here and we try to make it a natural conversation that allows us to assess whether a given candidate matches our team. After passing the entire process, we begin a three-month trial period, which allows us to assess whether the person will fit in our company and whether things seem to be going in the right direction. The candidate's expectations for development and whether we are able to meet them as a company. 9. 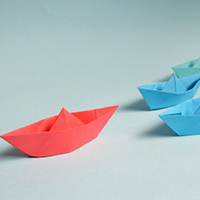 What advice would you give other leaders of tech startups? PushPushGo CEO - Dawid Mędrek: The first element that I think is important is having a prior work history. Maybe this is somewhat contradictory to the approach to the topic of developing your own business, but thanks to this we have the opportunity to develop our skills, see how others do it, draw conclusions from it, learn from it. The second element that works in the case of people with whom I am closely related consists of two factors: passion and surrounding myself with the right people. Passion allows you to treat a project/company not as a place to come to earn money, but an important thing for us because of interest and a natural desire to do something in the area that excites us. It's hard for me to imagine building PushPushGo without just such a passion for new technologies and for business development. When it comes to surrounding yourself with the right people, in my case such people were at the beginning of my path with new technologies, Bartek and Damian from Gamekit, who gave me a kind of opportunity and direction. It had and still has a big impact on my perception of certain things in business and its development. In the case of PushPushGo, surrounding yourself with the right people is also a decisive factor that allows you to sleep peacefully and be sure that this project has a chance to evolve and deliver value to clients every day. I also think that it is not worth wasting time on people who talk a lot and do little (it can be quickly verified, but unfortunately there are a lot of such people out there). Web push marketing evangelist. Dynamic PR and employer branding enthusiast and communication manager with knowledge and experience of many industries. Fan a new media and online communities. Copyright © 2019 by PushPushGo. All rights reserved. LET'S TALK ABOUT WEB PUSH? By leaving the phone number, you consent to the processing of your data and a one-time call back. Your telephone number will not be passed on to any third parties.